Talk about being a stud. This cool colt, who goes by the name "T," knows a thing or two about how to woo his lady - a very lovely amber-haired mare named Layla. 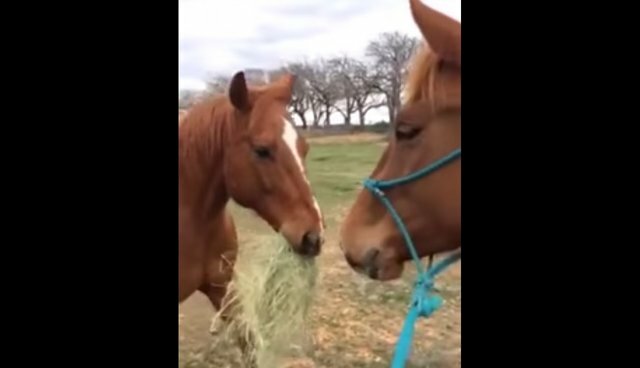 Footage recently uploaded to YouTube captures the adorable moment "T" comes running to deliver Layla a tasty snack of hay for them to enjoy together.